A new study has found that smoking an e-cigarette on a regular basis could double the risk of a heart attack. 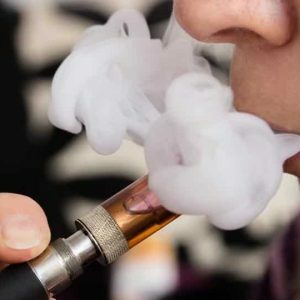 According to a new analysis of a survey of nearly 70,000 people, led by researchers at UC San Francisco, the dual use of e-cigarettes and conventional cigarettes appears to be more dangerous than using either product alone. However, the researchers also reported some good news if smokers quit. “The risk of heart attack starts to drop immediately after you stop smoking. Our results suggest the same is true when they stop using e-cigarettes,” said Glantz. Electronic cigarettes typically deliver an aerosol of nicotine and other flavours by heating a liquid and are promoted as a safer alternative to conventional cigarettes, which generate the nicotine aerosol by burning tobacco. The researchers found that the total odds of having a heart attack were about the same for those who continued to smoke cigarettes daily as those who switched to daily e-cigarette use. For those who used both products daily, the odds of having had a heart attack were 4.6 times that of people who had never used either product. The authors also said that while there was a ‘lasting effect’ associated with being a former smoker, there was not a significant increase in myocardial infarction risk for former or (sometimes) e-cigarette users.